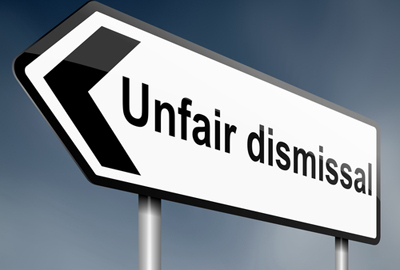 Newtons Solicitors recently helped a member of a schools' Senior Management Team succeed in a claim for unfair dismissal. The claimant brought their complaints before the Employment Tribunal following the decision to make her redundant in late 2015, after almost 20 years of service with the school. The case which lasted almost 2 weeks was heard before the Employment Tribunal earlier this summer, with the judgement delivered this August. The judgement found that, on balance, the reason for dismissal was not for redundancy but that it was used as a convenient peg on which to hang the dismissal. The issue of remedy is still to be determined. This case is a reminder to employers of the risks associated with dismissing staff and in particular using redundancy as an excuse to remove particular employees. A situation involving the dismissal of a long serving, popular employee, can obviously expose the employer to significant legal, management and compensation costs. However, what may be more damaging is the potential unrest among staff, damage to reputation of the employer as well as related difficulties for those responsible for making the decision. This is especially so if the judgement goes against you. While there has been a reduction in employment claims since the introduction of fees, the risk of employees enforcing their rights is still very much alive and with a good many claims still pursued. Many people now have the benefit of legal protection insurance which enables them to fund the claims using their local solicitor. Employment is an important and often very sensitive issue for many people. When a situation is handled badly, the risk of a claim being pursued increases, not only due to legal merit but also perhaps due to personal motivation of the employee. It is important that the situation is handled well from the start and appropriate legal or human resource advice sought at an early stage.